4. What are the basic types of car breakdown policies? 7. What level of car breakdown insurance do I need? 13. How to compare the best motor breakdown cover? 16. Do I need specialist motorbike breakdown cover? 18. What exclusions should I look out for on a car breakdown policy? We've compiled this list using the top motor breakdown providers from the Which? ratings, online customer reviews, research from an independent review firm and industry awards. This guide also has links to breakdown company reviews and information about how to choose and compare breakdown cover. Rather than create a list of cheap breakdown policies, we’ve considered a number of factors such as the quality and comprehensiveness of the cover. We rate these as the best breakdown policies, but they will all offer slightly different levels of cover at a range of prices to meet different needs, so click on the links to get a tailored quote or read on to find out more about breakdown cover. We've listed the policy names because most breakdown companies offer a range of policies but not all will have been rated five stars by the independent financial review service we use to create our list. When we updated our list in 2017 a number of well-known companies dropped out of the top 12. However, as you'll see below, some of them were car insurance companies whose breakdown services are provided by other firms that remain on the list, for example, Churchill's cover is provided by Green Flag and More Than uses the RAC. You’re heading down the motorway, car packed with family and friends, on your way to a wedding when suddenly a warning light is flashing on the dashboard and smoke is coming out of the engine. You’re running late for work, have an important meeting with your boss planned for first thing and the car won’t start. Nightmare scenarios like those are the main reason why most UK drivers choose to take out breakdown insurance. According to the Driver Power 2014 survey the vast majority of UK drivers (94% of their 50,000 survey respondents) have motor breakdown cover. Mechanical problems can be stressful, inconvenient and potentially expensive to resolve so paying upfront to insure against the worst happening is seen by most car owners as a necessity. Car breakdown cover exists to provide peace of mind that, in the event of breakdown, help will be with you fast, wherever you are, day or night. There are various levels of breakdown cover, depending on the package you choose. They range from basic roadside assistance that will send a mechanic to fix your vehicle, to more comprehensive policies that offer to take you to your final destination, arrange for your car to be repaired or even offer an emergency driver to get you where you need to be. Breakdown cover on its own is not the same as car insurance and there are exceptions to what policies include. If you're looking for car insurance, we've ranked the best companies here. To help make breakdown cover comparison as easy as possible, we’ve put together this guide. What are the basic types of car breakdown policies? Car breakdown services typically fall into two main categories, standard breakdown cover or pay and claim cover. Standard car breakdown cover is the most popular type of breakdown insurance and is often the most straightforward choice. You will be covered for the life of the policy, usually one year. If you break down, your provider will send assistance, either from its own fleet of roadside recovery agents or by using a local breakdown company. There will be no fees to pay at the time of the breakdown and the provider will take responsibility for arranging assistance. All of the big providers offer basic cover and the starting price for policies from the RAC, Green Flag and AA range from about £25 to £30 a year. The policies in our list of the best companies are likely to cost more than that because they offer more comprehensive cover. IMPORTANT NOTE: Some car breakdown cover policies have a maximum number of callouts per year, after which you will no longer be covered. Make sure you check the small print or ask your provider at the time of application what its conditions are. Most standard motor breakdown policies also give customers the chance to opt for vehicle-based car breakdown cover or personal car breakdown cover. With vehicle-based car breakdown cover, the policy only applies to the nominated vehicle(s). Callouts for that vehicle will be dealt with the normal way but if you break down while driving another car you will not be covered. With personal car breakdown cover, you are paying to insure yourself as an individual rather than any particular vehicle. You will be covered for travel in any motor vehicle, even if you are only travelling as a passenger (provided the vehicle meets the terms and conditions specified by your provider – see our section on exclusions). Pay and claim cover works slightly differently. It is a less common type of breakdown insurance but can often be the cheapest type of cover. Just like a standard policy, you pay an annual or monthly fee but if you break down, you will be liable to pay for assistance using a local recovery service and then reclaim the money from your breakdown insurer by sending in your receipts. GEM Motoring Assist offers it under the Recovery Reclaim policy. This type of breakdown service can be good value for money but if convenience is your priority, you might be better off choosing standard car breakdown cover. Pay and claim cover does not normally offer access to a roadside recovery fleet so at the time of the breakdown, making arrangements might take longer or be more stressful. What level of car breakdown insurance do I need? All car breakdown cover includes roadside recovery assistance. If your car breaks down away from your home, the provider will send one of its agents to help. Be aware that most breakdown insurance providers state that you must be at least a quarter of a mile or more away from your home address. As you will see below, home assistance is often a separate level of cover. Check policy details to find out what restrictions apply. What happens next will depend on what’s wrong with your car. Straightforward mechanical faults can often be repaired at the roadside. If that’s not possible, your breakdown provider will ensure that the car and any passengers are recovered safely. Read through your policy summary to check the service your provider offers. Some breakdown insurers will take the car to a local garage for repairs, others will happily take it to a garage of your choice and others will take you and your car back to your home address. Home assistance, sometimes known as home start, kicks in when your vehicle breaks down at home, or very close to it. This type of car breakdown cover can cost more but if you have an unreliable car that can be temperamental to start, paying for some additional peace of mind could make all the difference. Some providers offer it as standard, GEM Motoring Assist is one of them. While most providers will make sure that you get home safely after a breakdown, some will also help you continue your journey. Many of the best policies will include the cost of hiring a car or using another form of transport, and the most comprehensive breakdown cover might even pay for accommodation for you and your family while the car is repaired. Deciding what level of motor breakdown service you need is a personal choice. Perhaps you have small children and want to know that you’ll never be stranded on a motorway waiting hours for help to arrive. Perhaps your car is highly unreliable, making home assistance an essential service. Ultimately, base your decision on how much you rely on your vehicle. How vulnerable you are to breakdowns and how much value you place on a fast, reliable service. If you are planning on making multiple trips to Europe in a year annual cover might be more appropriate for your needs. But check how many days of travel are included in your policy. Most insurers will cap the number of days, for example, to 31 days for a single trip or 90 days in total over the year. You may also be able to add European cover to an existing breakdown policy, so if you’ve already paid for a policy before booking a holiday, look into that option first. IMPORTANT NOTE: Find out if your breakdown provider asks you to inform them before making a European trip. And if you are going to an unusual destination, check that it’s definitely covered. Every policy is different and as with all types of insurance, it is always best to check upfront that the policy meets your needs. How to compare the best motor breakdown cover? While it’s natural to want to find cheap breakdown cover and keep costs as low as possible, do remember the cost of a policy is only one factor to consider. When you are stuck on the roadside, other aspects of the service, such as the time it takes for a recovery vehicle to reach you, might suddenly seem far more important. What is the size of the provider’s fleet? What is the average response time? Is there a money-back guarantee if mechanics are late? What percentage of faults are fixed at the roadside? How satisfied are their customers? Do they have a callout limit? Do they have any specialist equipment or experience that might be of use to you, for example, specialist motorbike recovery equipment? If you have a new car that is unlikely to break down, it might be worth considering policies that offer rewards for no callouts. As with all forms of insurance, the most important thing to remember is to compare like for like. Insurance costs are influenced by a range of personal factors, for example, the age of your vehicle, so it always pays to compare tailored, personal quotes. And make sure that every policy you compare offers the same level of service. Finally, compare policy exclusions or any key terms and conditions that will limit the service you receive. For example, one provider might cover unlimited callouts while another might impose a limit of six a year. Comparison websites can be a good way to find the cheapest breakdown cover. However, do remember that price is not the only thing to consider. Many providers try hard to feature at the top of comparison website results, and this sometimes leads them to create extremely basic policies that can be priced ultra-competitively. While a basic car breakdown policy might be perfectly adequate for your needs, it might end up costing more in the long run if the service provided doesn’t come up to scratch and you end up supplementing it at your own expense. Do I need specialist motorbike breakdown cover? Breaking down on a motorbike can be particularly stressful. Not only will you have nowhere to shelter, you might find that some roadside recovery vehicles are not fully equipped to recover motorcycles. Getting the right breakdown cover for motorbikes is essential but before buying a specialist policy, check whether you are already covered on a standard one. Many of the big breakdown providers include motorcycle breakdown cover within their standard policies. The AA, RAC Breakdown Cover, Green Flag and GEM motoring assist all include motorbikes in their polices and have specialist bike recovery services. Many car insurance providers offer combined packages whereby you can add on vehicle breakdown cover. For example, Admiral car insurance and Tesco car insurance give customers the chance to on add breakdown cover as an optional extra. We've written separate guides to the best car insurance providers, the best insurance for young drivers and the top eight black box insurance companies. Buying services together can save time but it is not always the cheapest option. 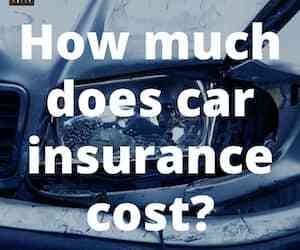 Bear in mind that the cost of the breakdown cover will be incorporated somewhere in the cost of the car insurance. Depending on your personal circumstances it might be cheaper to buy two separate policies. Also, some insurance firms’ breakdown service will be provided by a different company. If you do buy a joint policy check who will provide roadside recovery and ensure that they have access to plenty of assistance vehicles. What exclusions should I look out for on a car breakdown policy? With car breakdown cover it’s incredibly important you check your policy for any exclusions because you are relying on getting help fast and in an emergency. If you’re not careful, policy exclusions can throw a serious spanner in the works. Flat tyres – not all providers class a flat tyre as breaking down. Accidents – some policies exclude recovery of cars that have been involved in an accident. Breaking down on private land – ‘roadside’ assistance sometimes literally only applies to the roadside. Pets – if you regularly transport animals check what would happen in the event of a claim. This is particularly important if you transport horses or livestock. We've written about what you should do if you break down with a pet in your car. Learn about Green Flag's cover levels and how much its policies cost.